If there’s one country known worldwide for selling dairy products, especially chocolates, it’s most probably Sweden. Swiss chocolate has been a craving especially to chocolate aficionados out there with their premium coco and fresh production of milk. 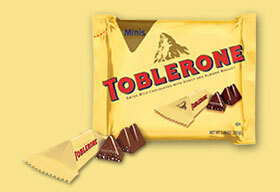 One Swiss chocolate brand stood out and sells triangular shaped chocolate – with the name Toblerone. The company was built by Theodor Tobler in 1908 together with his cousin Emil Baumann. 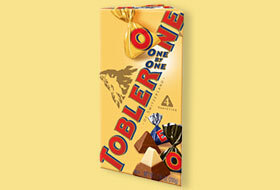 The milk chocolate the company is famous about is mixed with nougat, almonds, and honey molded in a prism shape. The company’s logo is the Matterhorn high mountain with a hidden image of bear, representing the town where the company originated. 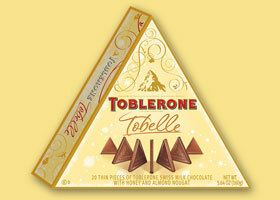 The triangular shape of the famous Toblerone chocolate was inspired by the same shape of the Matterhorn found in the Swiss Alps. 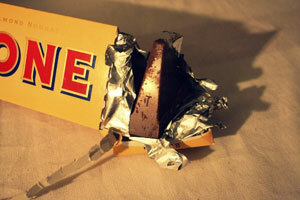 The brand was then trademarked in 1909.The name Toblerone was coined as a word blend of the founder’s name and a type of nougat in Italy called torrone. 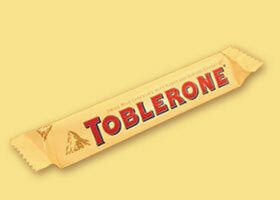 The word Toblerone also has the word “Bern” in it where the brand was founded and produced. 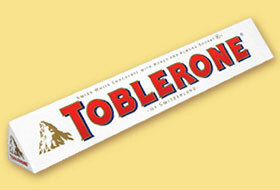 The chocolate bars Toblerone produces ranges from ten centimeters to over one meter in length. Since 1970s, they have been selling these variants: Plain chocolate, White chocolate, Snowtop, Filled editions, OneByOne, Toblerone Pralines, Fruit and Nut, Honeycomb crisp, Crunchy Salted Almond, Berner Bär, and the Toblerone Tobelle. 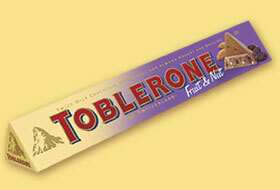 These editions of Toblerone chocolates are exclusively manufactured in the Swiss city of Bern-Brünnen. 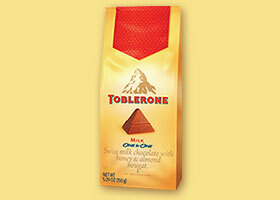 Just recently, the cardboard packages of Toblerone bars are customized with different messages for consumers to choose from depending on the occasion. 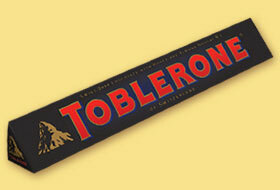 This has made the brand even more likable being given as a gift and/or a sweet note to a loved one.The production of Toblerone bars have reached the whole world and in a daily manufacturing scale, if you would lay each bar end to end, it would stretch to over a distance of 280 kilometers. These are only the milk chocolate variants!